Need something fun to do with your kids when they are not in school like during weekends or summer/spring break, but do not know what to do? Visit Fun & Free in KC to find lots of Cheap or Free Events/Activities for the Whole Family to Enjoy! Need to find utility assitance? Homeless resources? Help paying rent? A food pantry? Help getting your finances in order? Resources for your children? Find these resources and much more. United Way’s 2-1-1 is a great resource for everyday needs that aren’t quite 9-1-1 emergencies. United Way 2-1-1 spans a 23-county area, including 7 counties in Kansas and 16 in Missouri, and has access to thousands of resources. Call 2-1-1 and you’ll reach a trained, caring professional, 7 days a week, 24 hours a day, 365 days a year. It’s free and confidential. For additional information about United Way’s 2-1-1 services: call (816) 474-5112 or toll free at (866) 320-5764. My Resource Connection links individuals to resources that can help meet their needs: groceries, clothing, housing, health care, transportation, food pantries, rental payment assistance, employment, veteran’s services, utility assistance, mental health support, early childhood education and much more. Search for resources by zip code and/or county. Go to Resource Connection and select the Jobs, Apartments or Services tabs for additional information. Find days and times for Harvesters’ mobile pantries in Missouri and Kansas. We want to help you find WHAT YOU NEED – food, school supplies toothpaste, toothbrush, soap, shampoo, etc. This topic provides local, county, state and national assistance/benefits that can help individuals and families get resources they need. Find lots of information HERE. Housing costs are a large part of your budget, so it’s important to research options when choosing to rent or purchase housing. Need help with possible foreclosure, need help with coaching, find organizations, or just need to find a house? Find all the housing resources you need HERE! Resources for all steps of finding employment. Need a job, want training, or help with interview prep? Find links HERE! Click the photo below for a printable PDF. 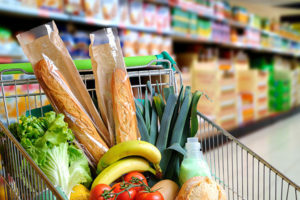 My Resource Connection connects individuals needing assistance with local resources that can help meet their needs: groceries, clothing, health care, counseling, childcare, parenting help, etc. Specific searches can be completed by zip code and county. This is just one resource. Check out many more HERE! It is more important than ever to make wise decisions about financing college and continuing education, especially as the cost of post secondary education continues to increase. Whether you are planning to attend college, are currently a student or already have student loans, below are tools and resources to help you along the way. Find getting ready for college checklists, help financially, or just general college information HERE. Moving to new place can be difficult. There are so many transitions to make: new and different ways of doing things, cultural norms to understand, a new language to learn, a job to find…. 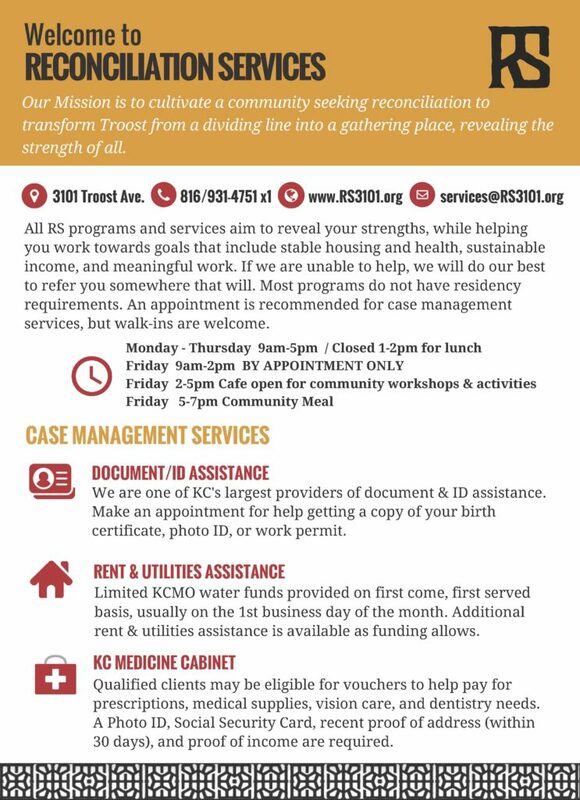 If you are a refugee or immigrant, we hope the following information will be of help to you. Find resources for Immigrant and Refugee Services and that will make you and your families moving to new country easier. There are people who want to help! We have collect a wide range of resources and helpful links for when you or someone you know needs help dealing with legal issues. Just moved here? or Just need a way round the area? Do you need help paying for a bus ticket? Find helpful resources for getting around the Kansas City metro area HERE. We have collected resources just for Seniors. Find help with all things that might effect Seniors. A secure, comfortable retirement is much easier when you plan your finances. Find helpful resources for retirement and estate planning. Taxes can get confusing! Get the resources available to help you and your family. Everyone needs a little help from time to time. We have collected phone numbers and sites that care about you and are there to help!